I’ve owned the beloved cookbook Tofu Cookery by Louise Hagler since my beginning days of vegetarianism. While I’ve had the cookbook for years, I only recently made the tofu balls that so many PPKers, particularly Isa Chandra Moskowitz herself, raves about. I didn’t have regular peanut butter, so I used the chunky version I had on hand. It made for a slightly crunchier tofu ball, but definitely worth the switch. I don’t think I cooked the balls enough (or I could have made them a tad smaller). They reheated well the next day and actually were slightly better then (perhaps because they were cooked more thoroughly). 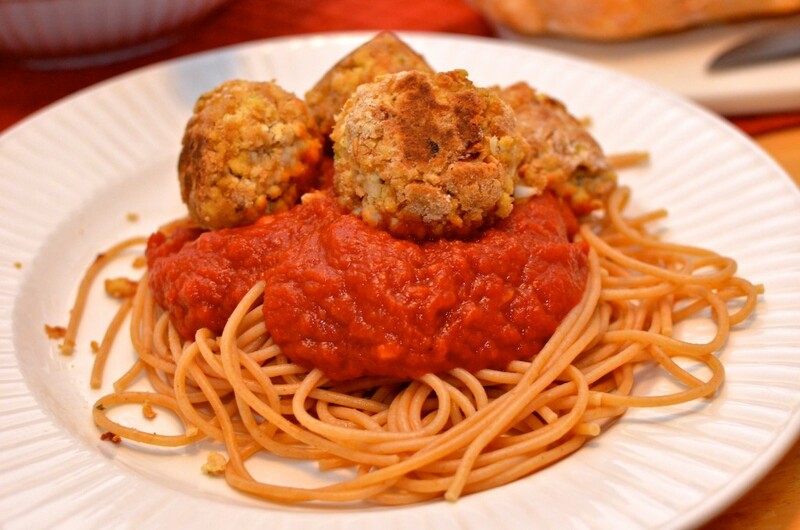 I used some store bought whole wheat spaghetti and marinara sauce and topped them with the tofu balls, for a classic “spaghetti and meatballs” feel. Overall, we’d rate the tofu balls a solid 3 1/2 out of 5 carrots on the veganlicious scale! I love Italian food and trying to recreate dishes that I find on menus in fancy restaurants. One night I was looking at menus online for a new town I planned on traveling to and noticed butternut squash & ricotta stuffed shells being offered at a restaurant (that I don’t recall now). It sounded like a fun challenge. So using the recipe for Stuffed Shells (the spinach filling) of page 106 of Louise Hagler’s Tofu Cookery as my base, I got started. Preheat oven to 400 degrees. Cut a butternut squash in half, placing both halves face down on a cookie sheet. 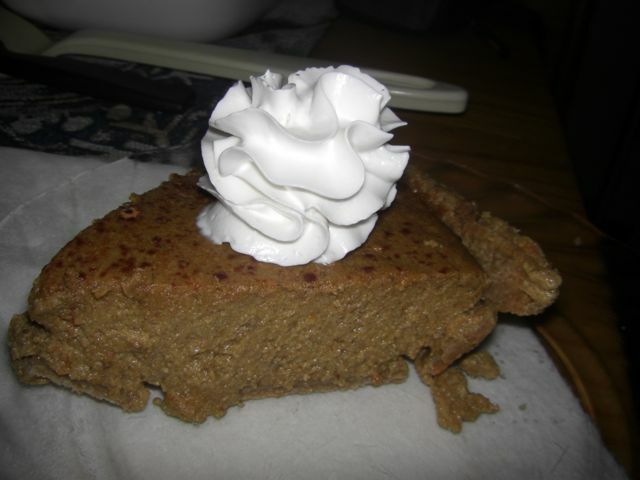 Bake for a least one hour so that squash becomes softened. Remove from oven when finished and scoop out seeds. Next scoop out the squash and place in a large bowl. Mash the squash with a fork or potato smasher. Add salt and pepper (to taste) and mix with the squash. 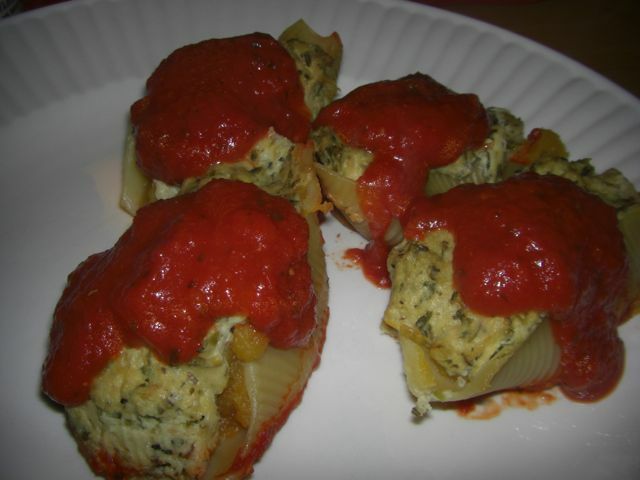 Follow the directions for the spinach & tofu stuffed shells, making sure to add 1-2 TB of butternut squash into each shell before adding the tofu ricotta mixture. 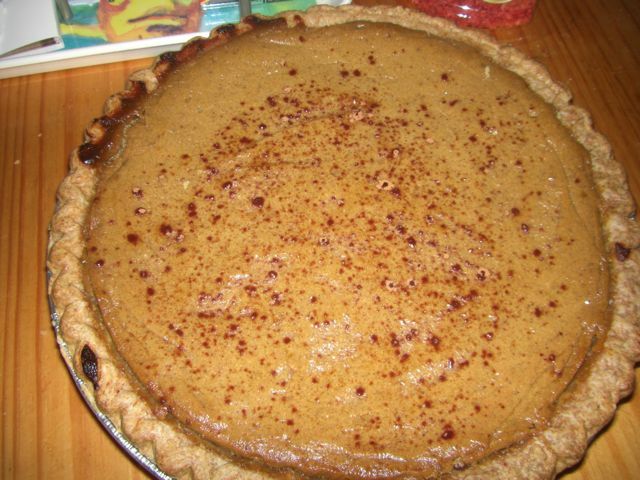 Follow the rest of the instructions for baking in the above recipe by Louise Hagler. This was easily a 4 out of 5 carrot recipe on the veganlicious scale!